Leisure Knoll in Manchester, New Jersey is a gated, 55+ community that contains over 1,600 homes. The spacious clubhouse includes amenities that appeal to active adults with an outdoor pool, putting green, tennis courts, and card room. There are over a dozen of clubs and activities that residents can partake in including bowling, art appreciation club, golf club, veterans club and garden nature club. The security, affordability and variety of amenities and activities of Leisure Knoll make this community an easy choice for retirement in Ocean County. Leisure Knoll offers a bountiful lineup of amenities that cater to the recreational, social and interest requirements of mature adults. The clubhouse is the central hub for all community activity. It has a great fitness center where residents can work out and stay healthy. It is easy for residents to find a good book at the library, relax over a game or two of billiards, and attend social events in the multi-purpose room. Outdoor amenities at Leisure Knoll include an outdoor pool, tennis courts, shuffleboard courts, and a putting green. Residents can take a stroll around the community on the walking and biking trails, enjoy a picnic at the gazebo or embrace the scenic pond within the community. 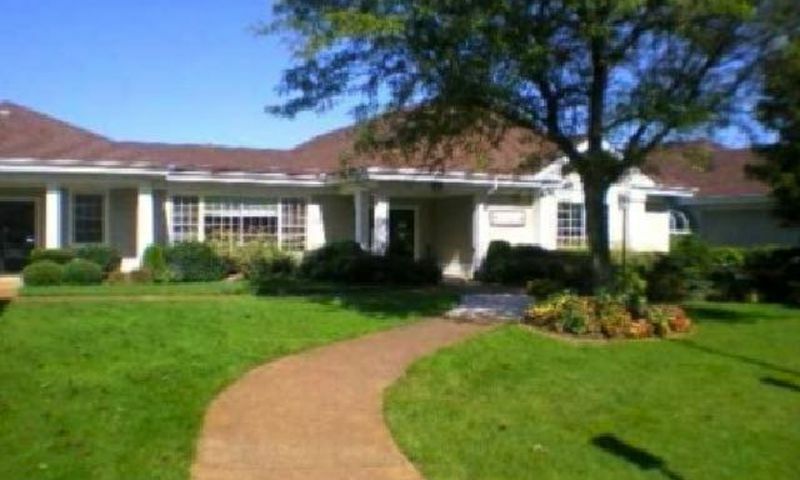 Built between 1973 and 1999, Leisure Knoll is a gated community that consists of 1,626 resale single-family homes. There are over 15 models to choose from that range from 980 to 1,728 square feet. Most homes feature two bedrooms, one bathroom and an attached garage. The mature landscaping and pretty tree-lined streets welcome you to this area of affordable homes. These beautiful homes were designed with active adults in mind with open floor plans and first-floor master suites. Residents of Leisure Knoll enjoy a rich active adult lifestyle. The community's clubhouse contains many amenities, as well as the perfect setting for a range of social clubs that meet on a regular basis. There is a wide variety of clubs for every interest and hobby including bible study, camera club, computer club, fishing club, ceramics and needlecraft. The clubhouse also hosts many games such as bingo, canasta, poker, Mah Jongg and more. Leisure Knoll's activities director is also available to help residents find the clubs and activities that suit their interests. This age-restricted community has scheduled events and parties that give residents plenty of opportunities to get to know their neighbors. Leisure Knoll is located in beautiful Manchester, New Jersey. It is conveniently only 30 minutes from the beaches of Ocean County. Nearby are medical facilities, recreation options, and major shopping areas including Ocean County Mall. Residents can also enjoy the many sporting events, festivals and concerts that take place in Manchester. The Garden State Parkway is only 10 minutes away, which makes traveling convenient. Leisure Knoll is a terrific active adult community for 55+ homebuyers in Ocean County, New Jersey. There are plenty of activities available in Leisure Knoll. Here is a sample of some of the clubs, activities and classes offered here. Built between 1973 and 1999, Leisure Knoll is a gated community that consists of 1,626 resale single-family homes. There are over 15 models to choose from that range from 980 to 1,728 square feet. Most homes feature two bedrooms, one bathroom and an attached garage. The mature landscaping and pretty tree-lined streets welcome you to this area of affordable homes. These beautiful homes were designed with active adults in mind with open floor plans and first-floor master suites. A reasonable association fee covers snow removal and lawn maintenance. Please Note: Floor plans are not available at this time. Here a year just love it ... Majority of people are very friendly and caring... Homes are kept very nice...Lots to do ... Should of moved here years ago . GREAT Place to call Home !!! Low Taxes & Plenty of Activities !!! Convenient to the Beach ( 15 minutes away), Shopping, Restaurants, & only an hour away from Atlantic City or Philadelphia !!! I resides here three years and absolutely love it! The homes are all different and most of the homeowners I encountered are friendly and considerate. I highly recommend moving to the development. If you're willing to do some updates you can find a great home here. We bought a place a couple years ago and have redone almost all of it since then. We remodeled the kitchen and baths, put down new carpet in the bedrooms and painted throughout. The price we paid allowed us the ability to do the updates we wanted to make it our own. The community has a lot going for it, plenty of activities and amenities plus it is a gated community which cuts down on the through traffic and just feels safer. 55places.com is not affiliated with the developer(s) or homeowners association of Leisure Knoll. The information you submit is distributed to a 55places.com Partner Agent, who is a licensed real estate agent. The information regarding Leisure Knoll has not been verified or approved by the developer or homeowners association. Please verify all information prior to purchasing. 55places.com is not responsible for any errors regarding the information displayed on this website.